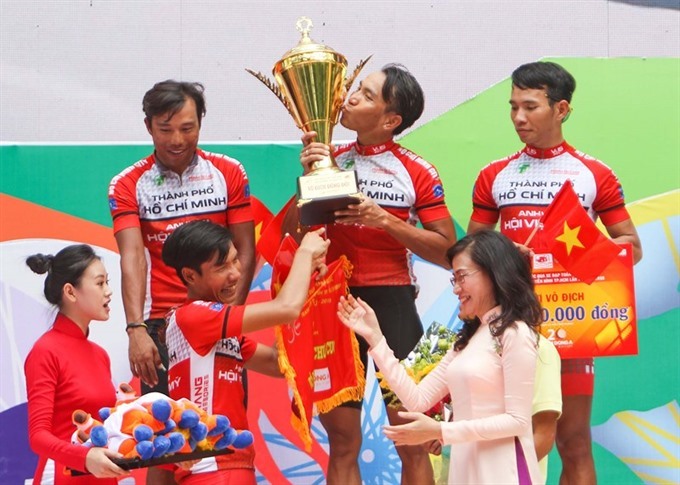 HÀ NỘI — Nguyễn Thành Tâm won the overall yellow jersey of the HCM City Television Cycling Tournament which wrapped up in HCM City on April 30. Tâm of Gạo Hạt Ngọc Trời An Giang won the event’s top prize with the total time of 80:37.29 after 30 stages. 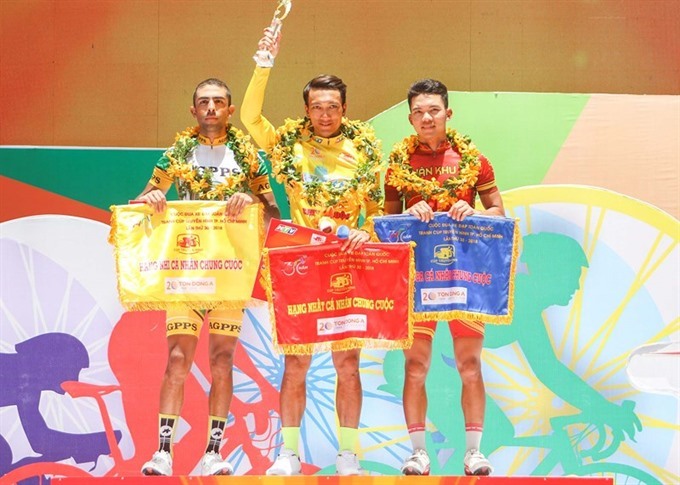 Lê Nguyệt Minh of Minh Giang-HCM City won the green jersey as the best sprinter. While the red jersey as the King of Mountain belonged to Loic Desriac of Bikelife Đồng Nai. 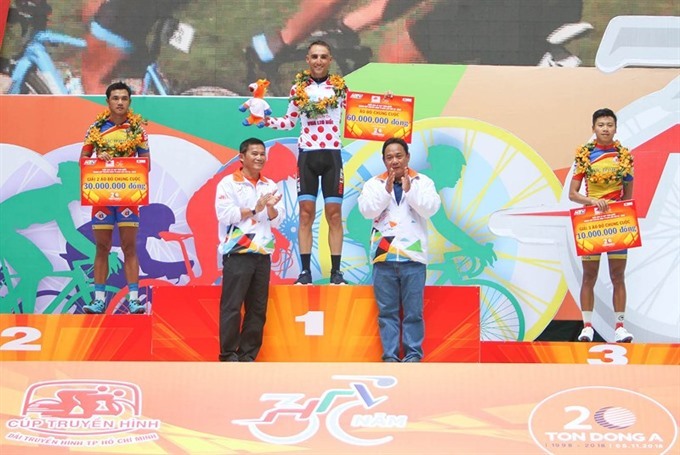 The white jersey as the best young cyclist was awarded to Ngô Văn Phương of An Giang Plant Protection. VUS-HCM City won the team’s rankings although they had only four members. The event had the total prize of VNĐ2.2 billion (US$99,000). Nguyễn Thành Tâm walked away with VNĐ300 million, the biggest ever in the national cycling history. The winning team received VNĐ100 million.